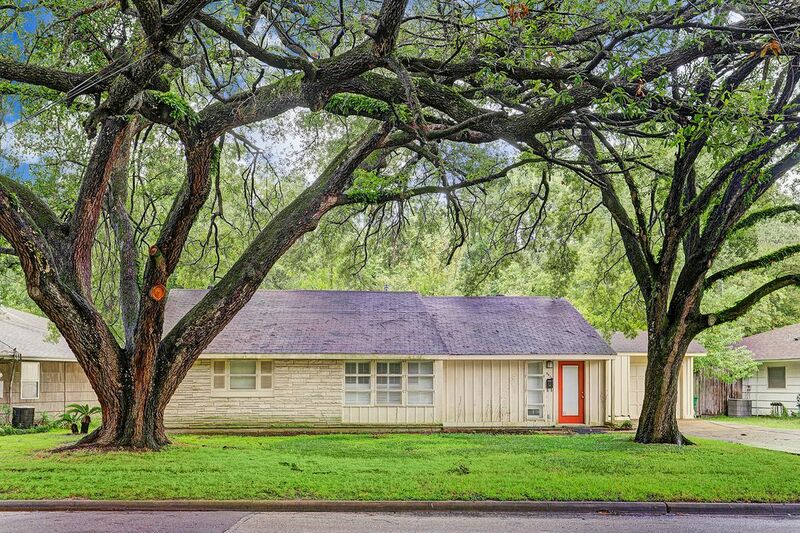 4414 Randwick Drive, Houston, TX 77092 | Martha Turner Sotheby's International Realty, Inc.
RENOVATE THIS MID-CENTURY HOME OR BUILD ON THE 9,238 SF LOT WITH TOWERING MATURE OAK TREES. 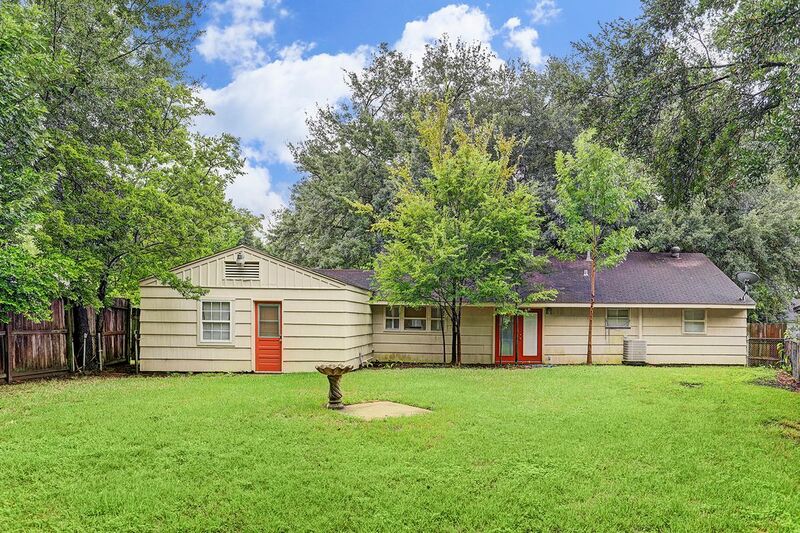 LOCATED IN BROOK-WOOD ESTATES, THIS PARCEL IS IN A PRIME LOCATION WITH EASY ACCESS TO 290, THE 610 LOOP AND 45. THIS VIEW DISPLAYS THE LONG DRIVE WITH ANGLED WINDOW WITH A NOD TOWARD THE MID-CENTURY STYLE. THE GARAGE HAS BEEN CONVERTED TO LIVING SPACE. JUST IMAGINE THE POSSIBILITIES. 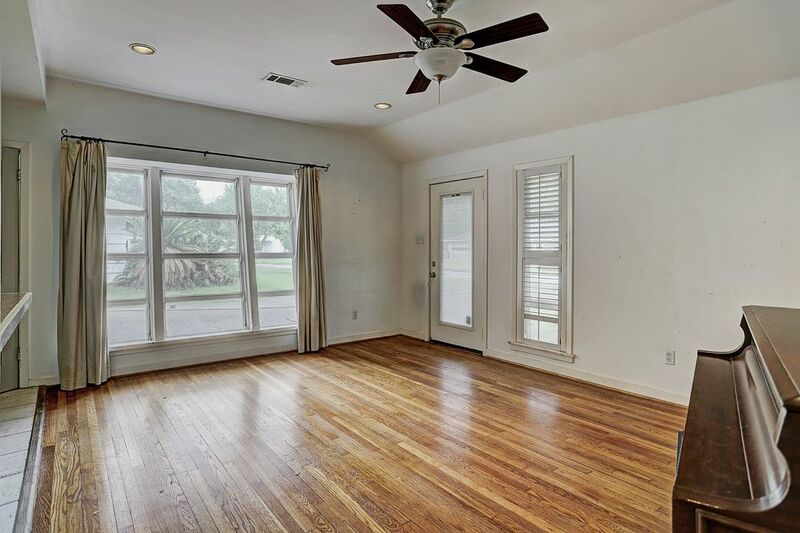 LIVING AREA HAS UNIQUE CASEMENT WINDOWS THROUGH OUT THAT COULD BE SALVAGED FOR UNIQUE STYLE. 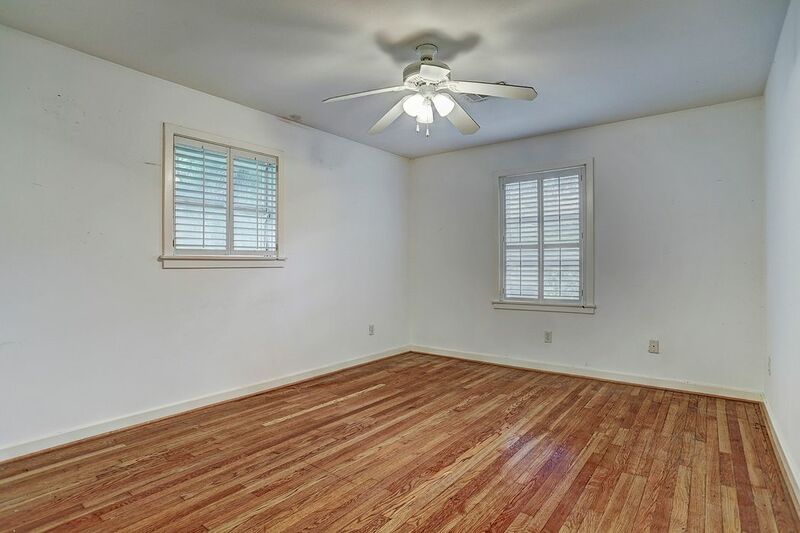 BEAUTIFUL WOOD FLOORS GRACE THE PROPERTY. LIVING ROOM FROM ANOTHER VANTAGE POINT PROVIDES A PERSPECTIVE OF THE EXPANSE OF THE ROOM. 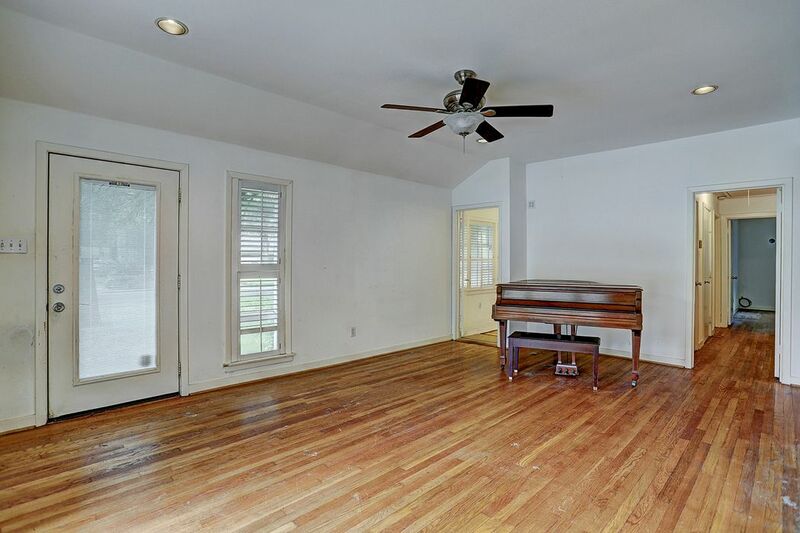 ROOM TO LEFT OF PIANO IS A SMALL BEDROOM THAT COULD BE CONVERTED TO A STUDY. 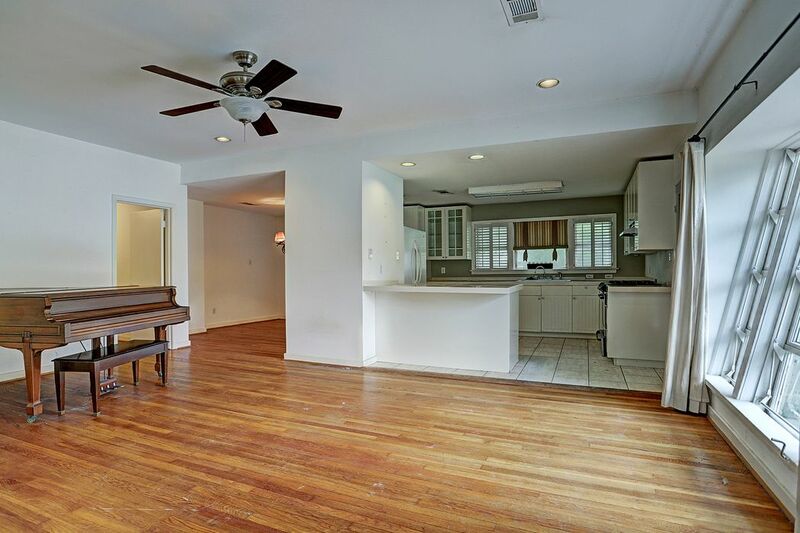 OPEN KITCHEN AND DINING ROOM TO THE LEFT JUST OFF THE LIVING SPACE. 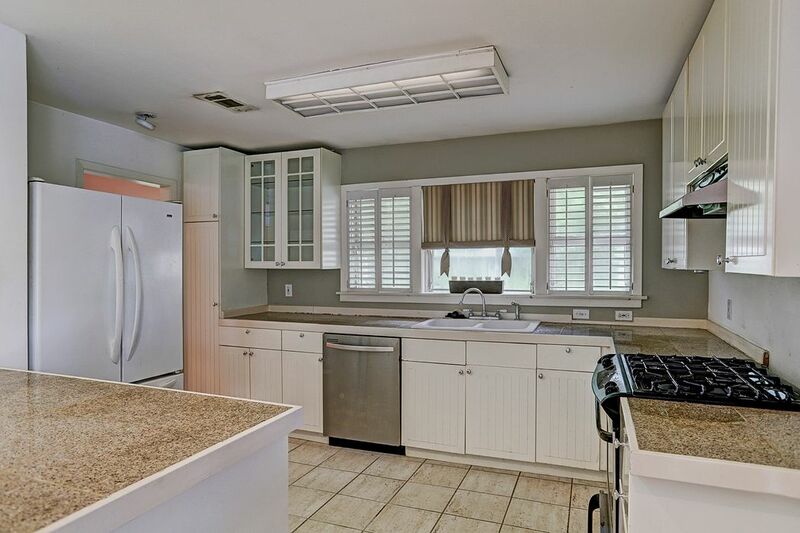 KITCHEN SPACE IS LARGE ENOUGH TO CREATE A MASTERPIECE. DINING AREA COULD BE EXPANDED AND OPEN TO THE KITCHEN AS WELL. MASTER BEDROOM HAS EN SUITE BATH AND CASEMENT WINDOWS. SECOND BEDROOM AT FRONT OF HOME. A VIEW OF THE BACK OF THE HOME PROVIDES A PERSPECTIVE OF THE AREA IN WHICH TO BUILD OR ADD ON. 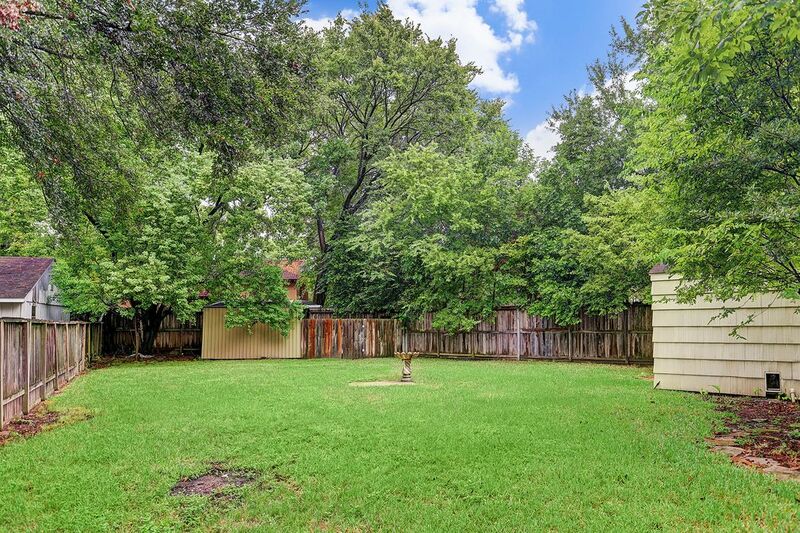 THIS PIE-SHAPED LOT INCREASES ARCHITECTURAL ALTERNATIVES. GORGEOUS OAK TREES PROVIDE SHADE AND STATURE TO THIS PARCEL IN THE CITY. 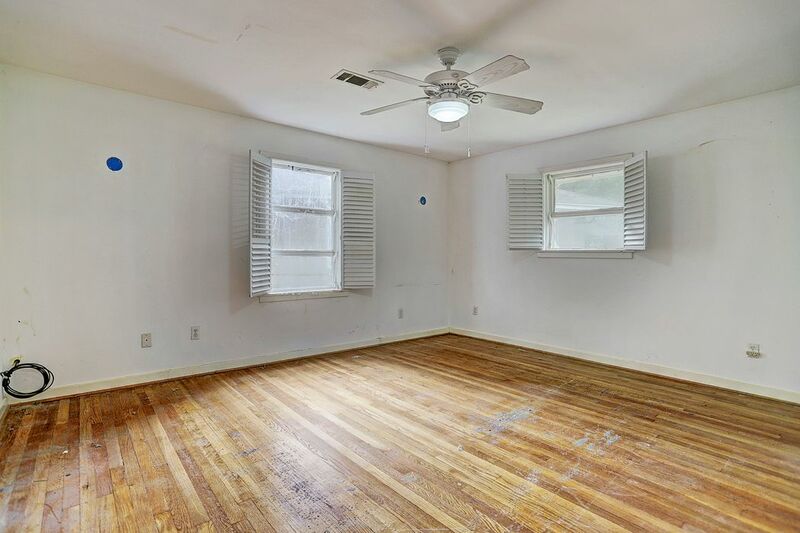 $275,000 3 Bedrooms2 Full Baths1,206 sq. ft. 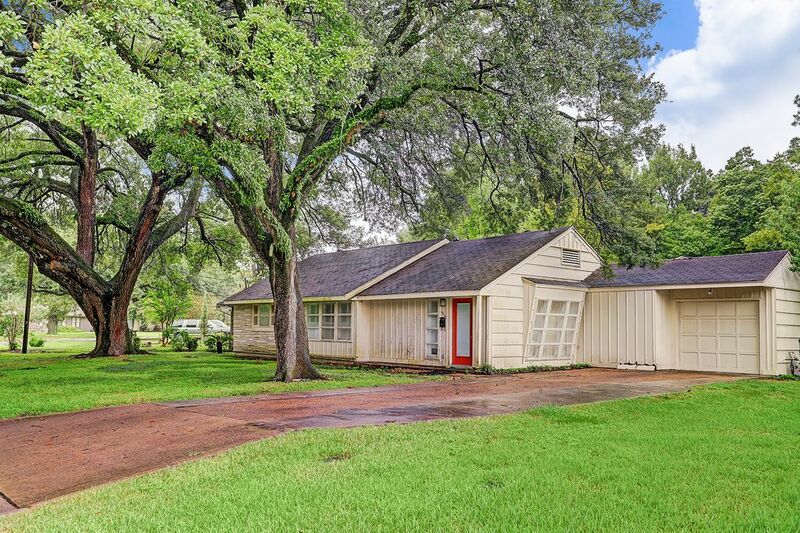 Tremendous opportunity for a renovation of this Mid-Century home or build on the approx. 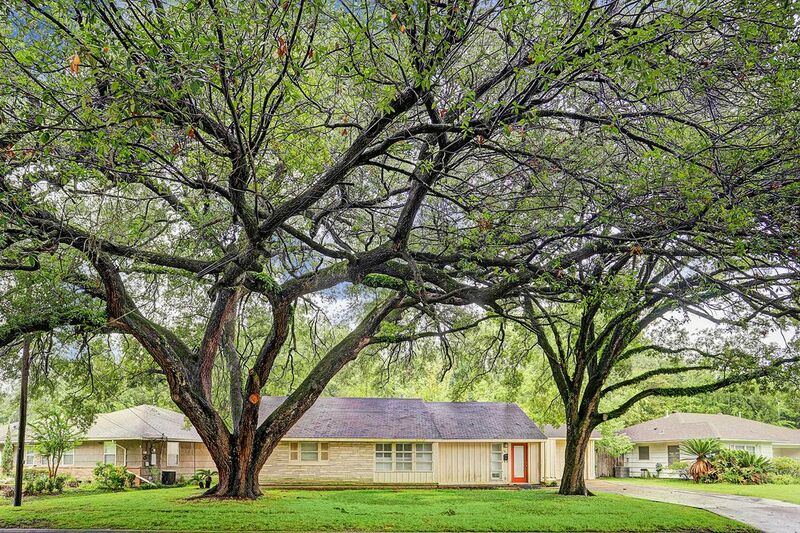 9,258 square foot lot with towering mature oak trees. A pie-shaped lot increases architectural alternatives. 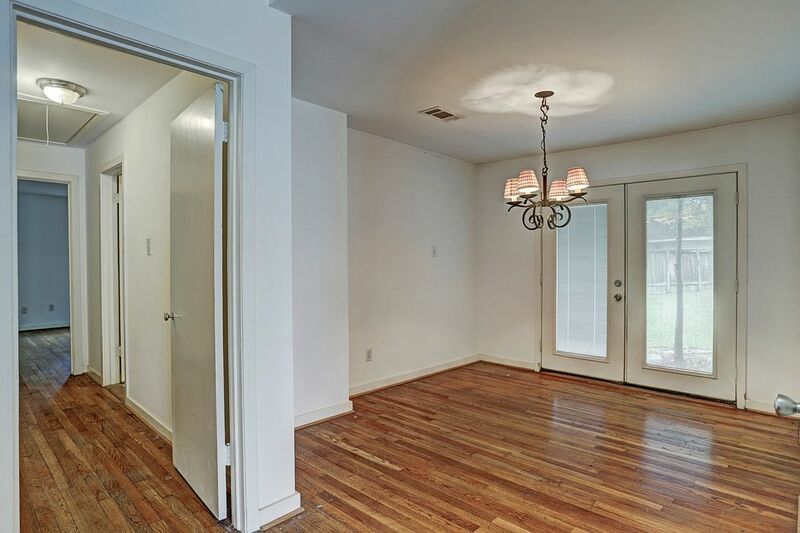 Located in Brook-Woods Estates, an enclave of 170 homes nestled between TC Jester and the Northwest Freeway with easy access to the 610 Loop, 290 and Interstate 10. 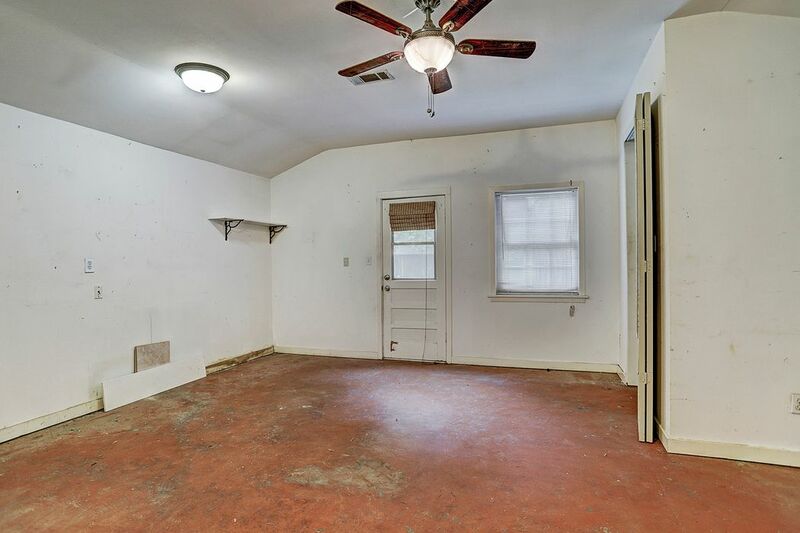 Garage has been converted to an extra room for more living space. Offered at lot value to enhance your renovation or construction budget.